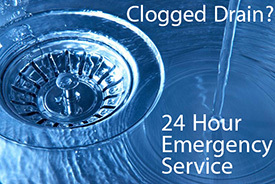 Main Sewer and Drain Services in Woodside, N.Y. 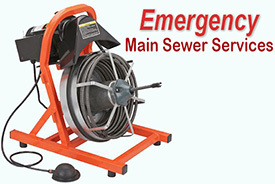 Broken, cracked, offset or collapsed main pipe - damaged pipes due to shifting soil, frozen ground, settling, etc. Blockage on sewer drain - grease buildup or a foreign object is restricting or prohibiting proper flow and/or cleaning of the line. Pipe corrosion - the pipe has deteriorated and/or broken, causing collapses in the line and restricting flow. Bellied pipe - a section of the pipe has sunk due to ground or soil conditions, creating a valley that collects paper and waste. Root in main sewer line - tree or shrub roots have invaded the sewer line, preventing normal cleaning and/or have damaged the line. Off-grade pipe - existing pipes are constructed of substandard material that may have deteriorated or corroded.